North Lawndale on Chicago’s west side is known for constantly rebuilding itself while keeping community in mind. 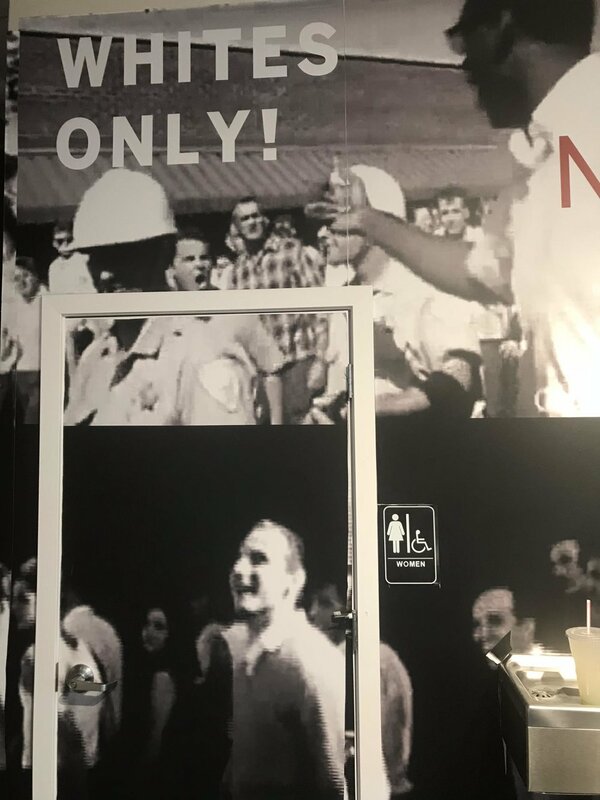 In 2011 the Lawndale Christian Development Corporation (LCDC) opened the MLK Fair Housing Exhibit Center, 3843 Ogden Avenue, which serves as a memorial to commemorate Dr. King and the neighborhood’s respectful history. Alexie Young is a community resident and alumni of North Lawndale College Prep High School who’s only been with the exhibit since spring but approached LCDC with the most innovative “vibes”. After hosting events for her own business, Young noticed the space could use a consistent representative so she took the initiative to write and send a thorough proposal and presentation to the executives at LCDC and created her own position. Dr. King lived on 1550 S. Hamlin in North Lawndale on the westside to fight fair housing in Chicago. Although these housing policies are not as blatant as they were in the past, North Lawndale and many other neighborhoods still strive for quality and affordable housing as well as resisting displacement and gentrification in Chicago, for poor and black people. 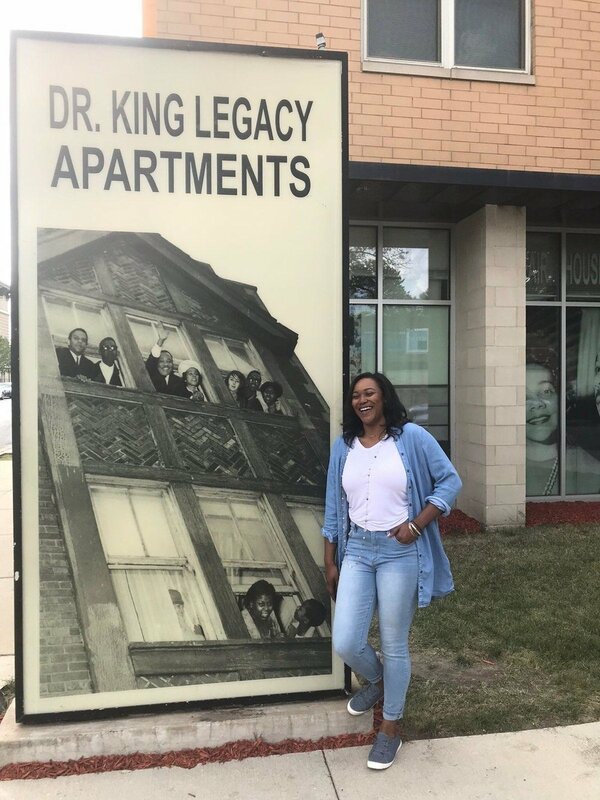 As LCDC remains involved with any and all new development in the area, they are making a point to recognize young innovators from North Lawndale in doing so; Young serves as the Site Coordinator and Curator of the MLK Fair Housing Exhibit Center. 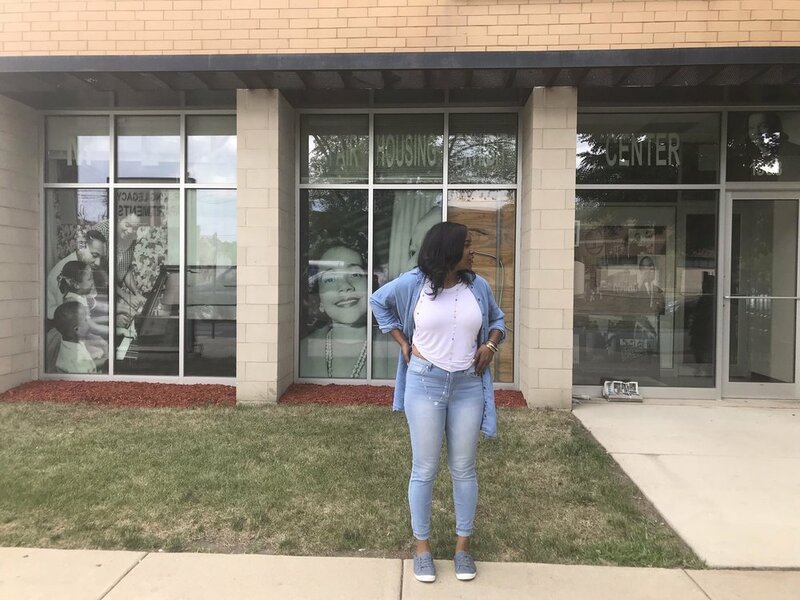 Young worked as a Youth Development Coach for UCan Chicago and as much as she values youth support in her community, she realized that she wanted to serve her community in a way that simultaneously acknowledged her own assets as well. As she continues hosting her own events at the space, Young has invited others to utilize the space as well and is ready for the MLK Exhibit to bring young innovators and creators like herself together. While she makes minor tweaks to the space she has some new upcoming plans in fruition. Aside from curating at the exhibit center she is part of The Blackline Chicago which is a collective of young black artists/entrepreneurs looking to further build in North Lawndale. Young is the epitome of what today’s black millennials exude in regards to stepping out of the box and into their purpose. Taking a leadership role that does not just empower others but herself included. 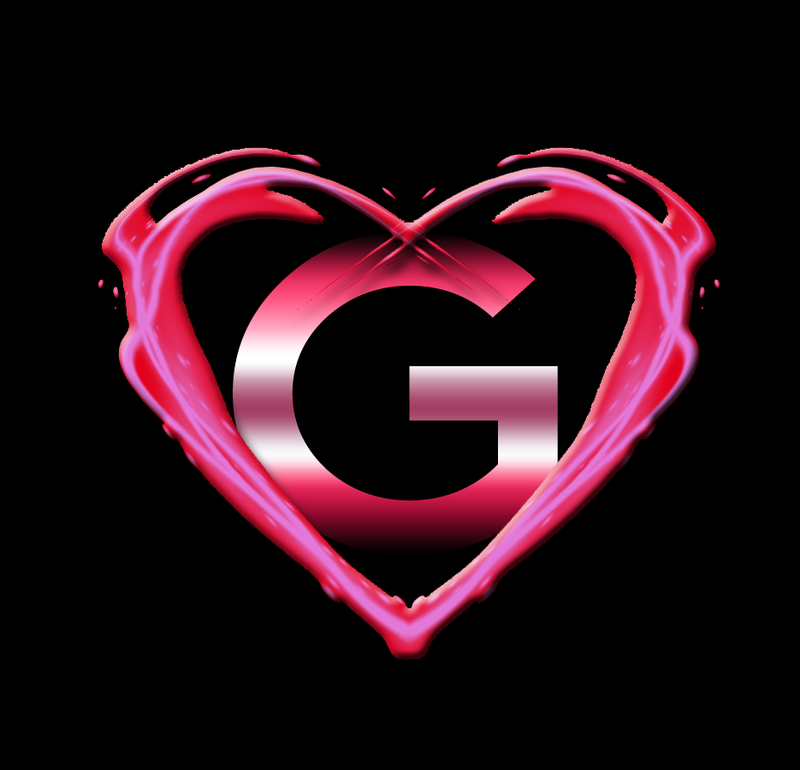 She is a result of how self-love and self-care plays a major role in community care. Her plans to encourage other young black people in North Lawndale to flourish and grow with one another are refreshing and beneficial beyond measures. Get you a millennial if you haven’t already.